We providing Hair Wig Clips. Hair Wig Clips are a workable solution. If you are looking for the convenience to take off your wig or toupee. 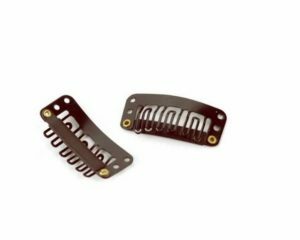 Our company Delhihairloss is a well-known manufacturer and supplier in the market for providing top quality of Hair Wig Clips. Wig clips are naturally stitched in around the border of the wig or toupee inside layer. This obtained from well known and reliable vendors. Our Wig Clips are great for a non-glue attachment of your hair system. Wig Clips are like small combs that are used to save the wigs and toupees. Clips will attach to your naturally growing hair and secure the hairpiece in place. 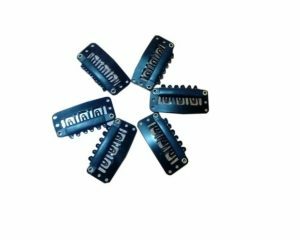 The range of Hair Wig Clips or Hair Patch Clips is highly durable in their performance. Our products have quality tested at the vendor’s end to certify that they are of a superior quality. 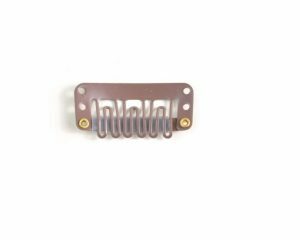 Our range of Hair Wig Clips encompasses Indestructible. We have these Wig Clips in three different sizes. We have these Hair Wig Clips in three different color black, brown and silver. The clips with rubber strip are beside the lining. There are some holes in this for sewing around the border of the clip. These hair clips can fulfill the need of individual clients. Stitch the clips end to end the border of the inside layer. You can use clips at the back and at sides of your head also set a wig clip in the middle of the piece. 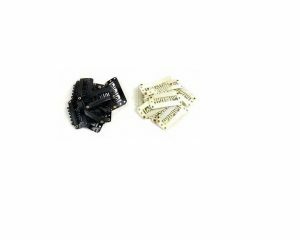 We provide these clips at a very reasonable price.